Fort Lauderdale, FL, (July 20, 2016) – Responding to the national call for community building in meaningful ways, NSU Art Museum Fort Lauderdale invites everyone to Free First Thursdays Starry Nights presented by PNC Bank. Expanded free programming begins August 4 with the introduction of the new Micro Mini Muse education program for families. As part of Free First Thursdays Starry Nights the Museum has added Micro Mini Muse, a free monthly drop-in program that provides a positive environment to foster learning by young children. Children ages 3 – 5 and their parents enjoy exhibition tours and work in teams as they engage in interactive art workshops inspired by the museum’s exhibitions. Parents have opportunities to collaborate with their children and encourage them in the art-making process. As noted in a May, 2016 New York Times article, To Help Kids Thrive, Coach Their Parents: “If we want to improve children’s opportunities for success, one of the most powerful potential levers for change is not the children themselves, but rather the attitudes, beliefs and behaviors of the adults who surround them.” Micro Mini Muse is made possible with support from PNC Bank. Held on the first Thursday of every month, now with an hour added from 4 – 8 pm, First Free Thursdays Starry Nights presented by PNC Bank provides unique opportunities for reflection, understanding and community unity through the arts, and encourages people of all backgrounds to come together to enjoy exhibitions, programs and performances free of charge. Based on the success of its pilot program launched in 2015, which attracted several hundred visitors to the museum on free Thursday nights, the museum is anticipating that attendance numbers will greatly increase in 2016/17 with the earlier starting hour and additional programming. Free First Thursdays Starry Nights are the museum’s only regular evening hours. 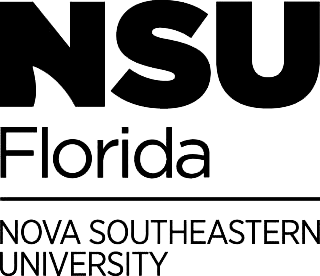 NSU Art Museum is located in the heart of downtown Fort Lauderdale in Broward Country, Florida’s second most populous county containing 9.2% of the state’s population. According to 2014 U.S. Census Bureau estimates, 15.4% of Broward County families are at or below the current federal poverty guidelines. With financial support from PNC Bank, First Free Thursdays Starry Nights eliminates the potential financial barrier of museum admission, and also enables families of all income levels to easily access the vast educational resources of one of the region’s most dynamic cultural hubs. 5 – 10, that moves to First Thursdays with free admission beginning September 1. A complete schedule of other First Thursday programming, including exhibition-related lectures and performances, will be announced throughout the summer. On August 4, visitors can experience art of the ages in the museum’s newest exhibitions: African Art: Highlights from the Permanent Collection and 500 Years of Prints from Rembrandt to Picasso: Drs. Walter and Mildred Padow Collection. Other exhibitions on view at NSU Art Museum during the summer are: Chuck Close Photographs (through October 2); Belief + Doubt: Selections from the Francie Bishop Good and David Horvitz Collection (opening August 24); and William Glackens: A Modernist in the Making (ongoing). All exhibitions are open free of charge during Free First Thursdays Starry Nights presented by PNC Bank. Museumgoers are also invited to enjoy the Museum Café’s 2-for-1 wine and beer specials from 4 – 8 pm. Designed for families on the go, NSU Art Museum’s new drop-in Micro Mini Muse (ages 3 – 5) and Mini Muse (ages 5 – 7) programs from 5 – 7:30 pm inspire children to discover the wonders of art and create their own unique artworks based on the museum’s exhibitions and artists. These interactive art adventures feature hands-on art workshops led by museum educators combined with family exhibition tours that explore art from the historical to the contemporary and introduce concepts and terminology in fun ways. The drop-in format of the programs enables families to create their own schedules that best suit their individual needs. The August and September programs will explore NSU Art Museum’s summer exhibitions African Art: Highlights of the Permanent Collection and 500 Years of Prints from Rembrandt to Picasso: Drs. Walter and Mildred Padow Collection. For reservations and additional information, visit nsuartmuseum.org or call 954-262-0258. About PNC – PNC Bank, National Association, is a member of The PNC Financial Services Group, Inc. (NYSE: PNC). PNC is one of the largest diversified financial services institutions in the United States, organized around its customers and communities for strong relationships and local delivery of retail and business banking; residential mortgage banking; specialized services for corporations and government entities, including corporate banking, real estate finance and asset-based lending; wealth management and asset management. For information about PNC, visit www.pnc.com.